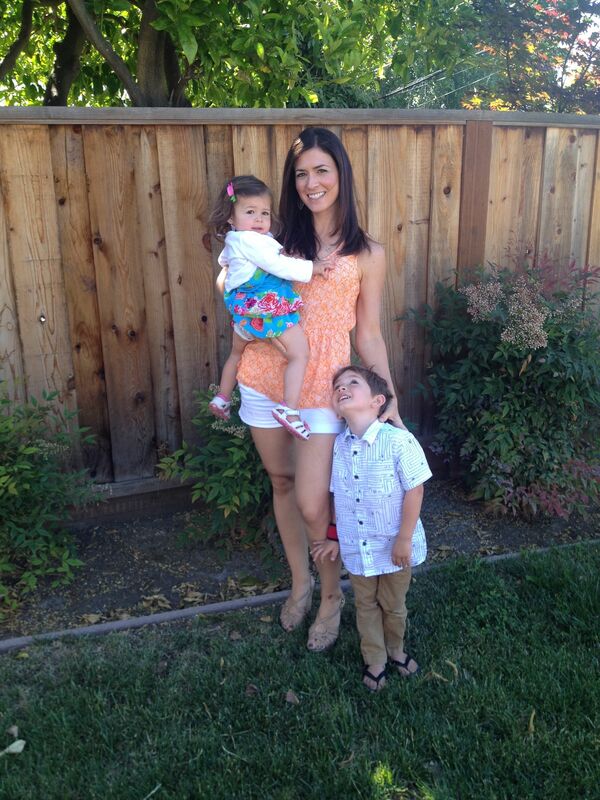 LB: Hi, I’m Laura–a fitness and nutrition enthusiast, Pilates instructor and mama of a 4-year-old boy and 18-month old girl. FFFC: How did you get started in fitness and Pilates? LB: I really started to get into fitness about 10 years ago when I had gained some newlywed weight that I did not want to stick around. I started hitting the gym regularly and never looked back! Pilates came about six years later, after having my first child. I tried a class and was hooked! 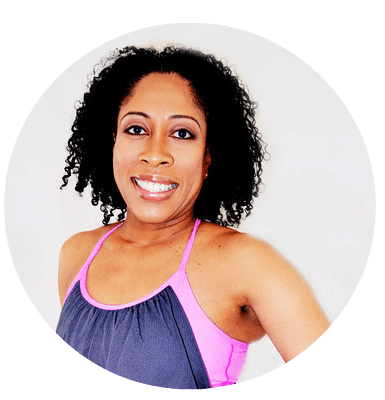 FFFC: Why did you decide to become certified in Pilates? LB: I’d been taking Pilates for a few years and really enjoyed it. 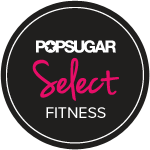 As a stay-at-home mom I was looking to do something for myself and thought being a fitness instructor would be a good way to do something I love as well as earn a few extra bucks. FFFC: How do you balance making time to get in your workouts and teach Pilates with the demands of your career and personal life? LB: Pilates is my career right now, so that’s not an issue. My challenge right now is figuring out how to balance teaching Pilates with getting my own exercise. I definitely get a workout in when I’m teaching, but I need more than that to stay fit. I’m thankful I can leave my kids in the gym childcare while I teach just like when I workout, but the time limit doesn’t allow me enough time to fit in my own workout on the days I teach. I’m still working on figuring out how to get in enough time for my own exercise. FFFC: What do you like most about working out? LB: I love watching my body change as I get in better shape. It’s fun to see muscles become more defined as I get stronger. It feels pretty good to be able to lift heavier weights as time goes on too. I don’t always love it when I’m in the middle of a challenging workout, but I love how I feel after! FFFC: What is your favorite Pilates move? LB: My favorite toning move is the Pilates Booty Burner I posted on my website a few months ago. I also love moves that promote spinal and scapular mobility, such as pinwheel. Doesn’t look like much, but feels so good, I promise! FFFC: What do you consider the most beneficial Pilates exercise? LB: Everyone is different, so the most beneficial move will vary from person to person. The key in every move is to engage your core and work from there out. Although the core consists of more than just your abs, it’s important that they are always engaged even if you’re not focusing on them directly. LB: I think people are surprised to realize how rehabilitative Pilates can be. When it became popular thanks to many celebrities picking it up, many people thought of it as a great exercise to get that “long and lean” look. Well, it is that, but it’s much more. While I do teach fitness-based Pilates, it can be used in a more gentle fashion to rehabilitate after an injury. It’s important to know the nature of the Pilates class you’re going to or else you might be in for a surprise! Classes can completely vary depending on the instructor’s training and expertise. FFFC: What general tips do you have for the average woman trying to balance family, career with a fitness lifestyle? LB: Fit it in when you can. It may not be possible to get in a full workout all at once. Ten minutes at a time is all you need. You can take 10 in the morning, 10 on your lunch break or during nap and 10 when the kids are in bed. Bodyweight exercises like lunges and pushups, for example, are all that you need to get in a good workout. FFFC: Do you have any words of wisdom to share with our readers who continue to struggle with poor eating and drinking choices and habits? LB: Do it for your health, not for looks. While everyone has a different motivation, if you’re solely focused on wanting to look better, that might not be enough. Especially if it’s accompanied by negative thoughts about your body when you look in the mirror. Instead focus on all around health and that might be just what you need to get there. As a more tangible piece of advice, just keep the crap out of your house. I don’t care if the rest of your family likes to have that bad-for-you stuff around, just say no. They don’t need that garbage either. FFFC: What would you say is your biggest career accomplishment to date? LB: Simply becoming a Pilates instructor in itself was a major accomplishment for me. The process was not clearcut at all so figuring it out and then taking the steps to get here was a big deal. Having the support of my husband while going through all the training was a huge help. FFFC: Who is your fitness idol? LB: There are so many amazingly fit women out there–just look at all the fit bloggers there are! I do find Tracey Mallet inspiring because she’s a super fit mom with a Pilates background. I actually took my first Pilates class ever from her when I was pregnant, so I credit her for starting me down this path. FFFC: How can our readers find you on the web or inquire about your services? LB: I blog over at http://www.fitmamalove.com about all things fitness and motherhood related, so that’s the main place to find me. I’m also the video spokesperson for Calio, a calorie-counting app that’s currently in Beta, so you can watch me in those videos on YouTube and I also do guest posts on their blog as well. Currently, I teach at the YMCA, but have recently worked with a friend and created a personalized pregnancy Pilates plan just for her, so it’s possible I may do more of that in the future. I welcome emails from readers and they can contact me at fitmamalove at gmail dot com. 8 Replies to "In The Gym with Laura Baker"
One of the challenges I found when I taught group ex was to still find time for my own workouts. Looks like you’ve found a balance here. I want to take Pilates with her. Hi Deborah! I’m definitely starting to find a balance, but it does get more challenging when I teach more classes than usual. Thank you. I love watching my body change as I get in better shape. Improved flexibility is one of the first and most obvious benefits of Pilates. During your first class, you probably won’t be able to touch your toes, never mind do a back bend. But if you stick with it, you’ll notice a gradual loosening, and eventually, seemingly impossible poses will become possible.